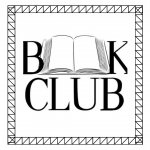 This book club is for current 8th & 9th grade students. This group meets every other month. The book selection for October is They Both Die in the End by Adam Silvera. Pick up your copy at the downstairs circulation desk.